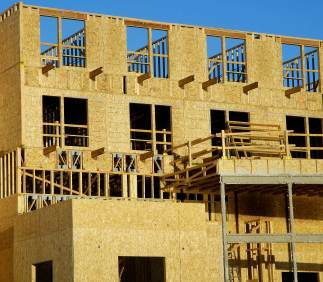 Forest2Market is forecasting 1.26 million US housing starts in 2018. How do you think the sector will perform? What wood-based products or innovations are you most excited about for 2018? The North American lumber market experienced a wild ride in 2017. 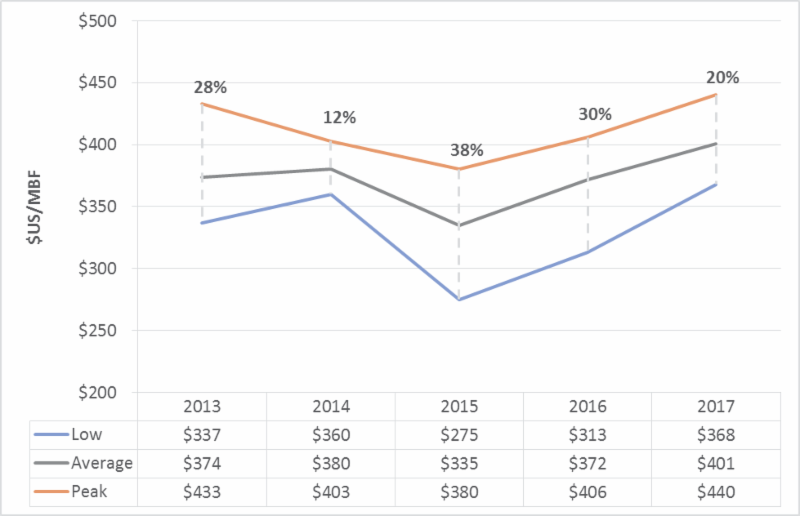 Despite new US legislation imposing tariffs on Canadian softwood lumber imports, North American lumber remains in high demand as confirmed by Madison’s Lumber Reporter, which shows steep price increases for benchmark products during 2017 as noted in the chart below. What a year 2017 has been! Sawmills across Canada and the US will hardly get a chance to assess this wild 2017 as year-end inventory in their yards is calculated before the new year arrives—with newly-established softwood lumber duties. 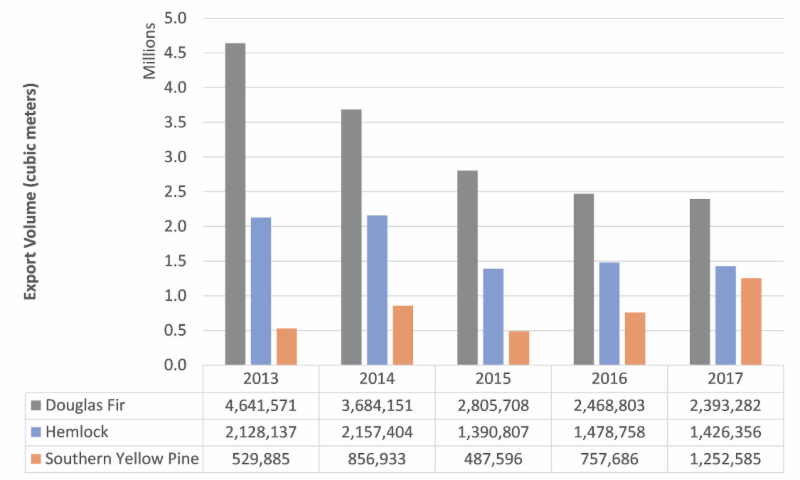 According to trade data compiled by the US Census Bureau through October, 2017 exports of southern yellow pine (SYP) logs are on track to increase 65 percent over 2016. Prices 2 for Douglas fir, Hemlock and SYP are also reflecting an increase this year over last year. Russian wood-consuming companies are facing birch supply challenges, regardless of whether they procure fiber from their own forest leases or market suppliers. In fact, it is estimated that from 2013-2017, birch veneer log prices increased more than 75 percent in local currency (16 percent in Euros). 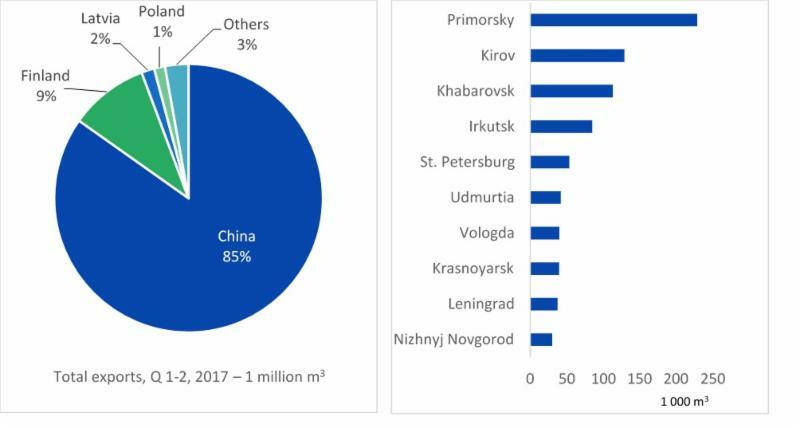 Furthermore, the leading Russian mills have to pay price premiums on top of the general log prices and in order to secure sufficient volumes, some Russian plywood producers are forced to haul logs from over 900 miles away. Total industrial production (IP) rose 0.9 percent in October (+2.9 percent YoY), and manufacturing increased 1.3 percent. The index for utilities rose 2.0 percent, but mining output fell 1.3 percent, as Hurricane Nate caused a sharp but short-lived decline in oil and gas drilling and extraction. 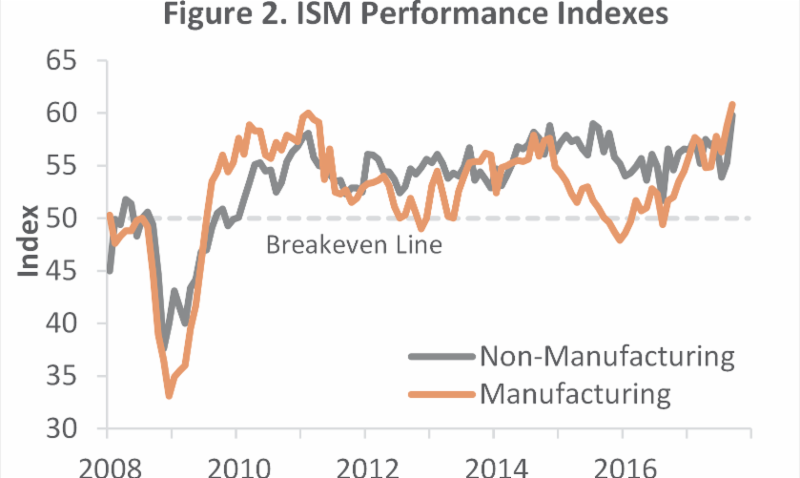 Even so, industrial activity was boosted in October by a return to normal operations after the disruptions of hurricanes Harvey and Irma in August and September. After soaring nearly 14 percent in October, US housing starts jumped 3.3 percent to a seasonally adjusted annual rate (SAAR) of 1,297,000 units in November. Single-family starts accounted for 930,000 units, which is 5.3 percent above the revised October figure of 883,000. 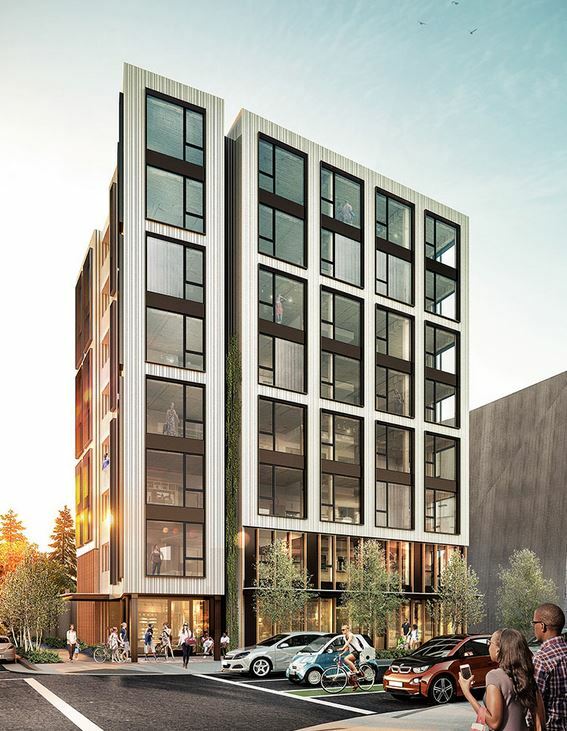 Two milestone North American mass timber projects are demonstrating that wood is still an incredibly versatile and reliable building material that will play an important role in the 21 st century. 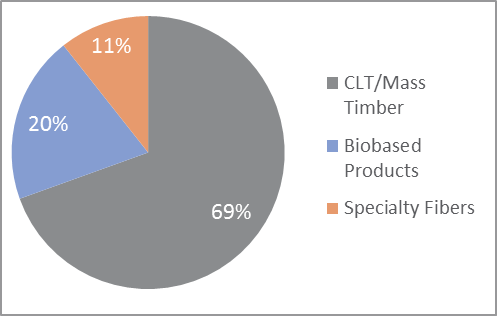 As green building codes become more commonplace with the assistance of programs like the Leadership in Energy and Environmental Design (LEED) building rating and certification structure, various types of manufactured wood products, including cross-laminated timber (CLT), will become more prevalent building materials. Last spring, President Trump signed a highly contentious executive order requiring U.S. Secretary of the Interior Ryan Zinke to perform a formal review of certain national monument designations created under the Antiquities Act. 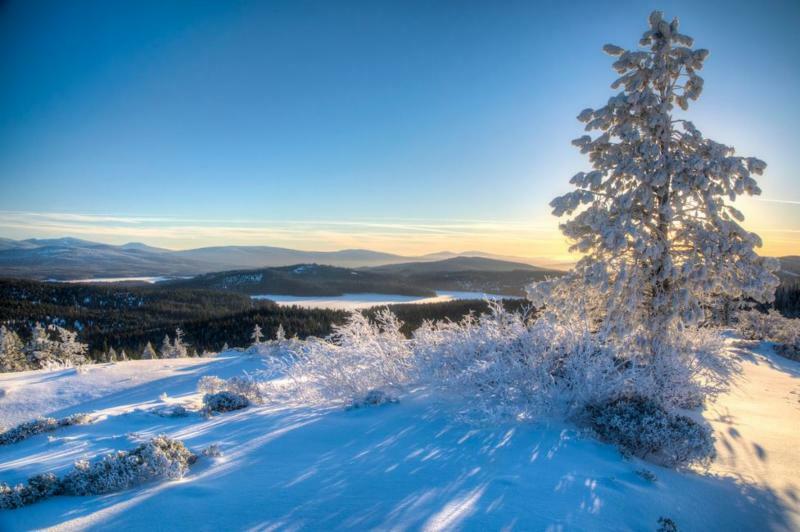 Secretary Zinke has finalized his review and released the final report outlining his recommendations to the President, which may benefit forest communities in rural Oregon. 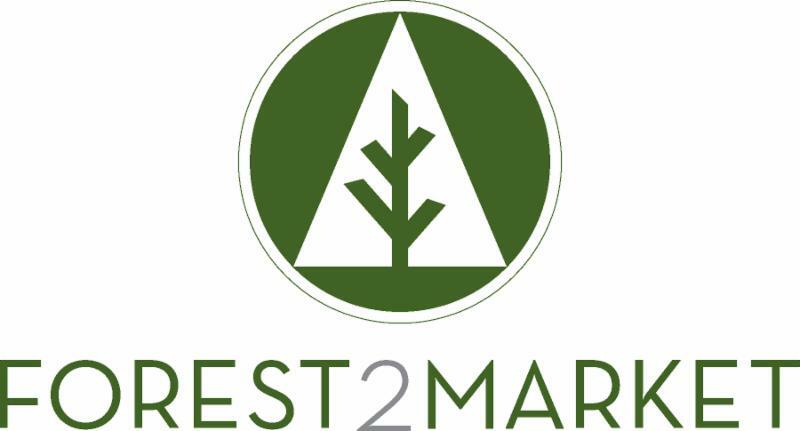 To ensure you continue to receiving Forest2Market emails be such to add information@forest2market.com to your address book so we land in your inbox! If you received this email it is because you have expressed an interest in Forest2Market.